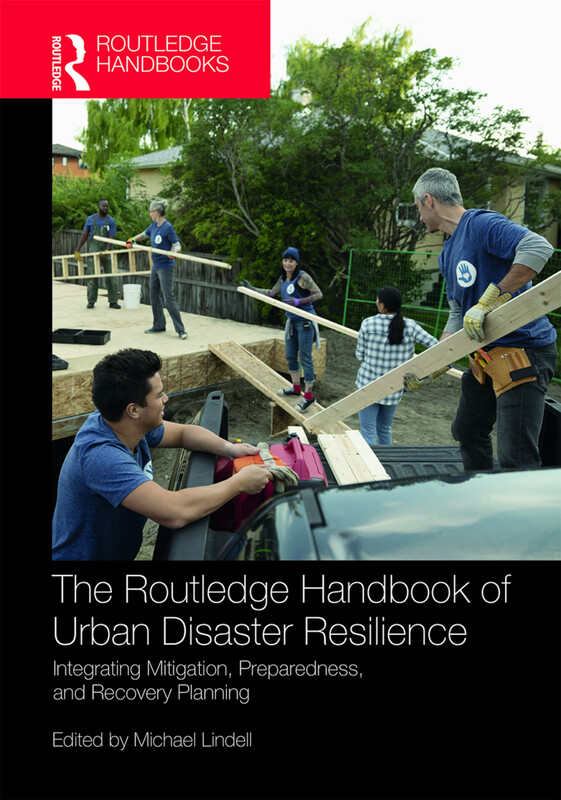 The Routledge Handbook of Urban Disaster Resilience emphasizes the intersection of urban planning and hazard mitigation as critical for community resilience, considering the interaction of social, environmental and physical systems with disasters. The Handbook introduces and discusses the phases of disaster--mitigation, preparedness/response, and recovery--as well as each of the federal, state and local players that address these phases from a planning and policy perspective. Part I provides an overview of hazard vulnerability that begins with an explanation of what it means to be vulnerable to hazards, especially for socially vulnerable population segments. Part II discusses the politics of hazard mitigation; the failures of smart growth placed in hazardous areas; the wide range of land development policies and their associated risk; the connection between hazards and climate adaptation; and the role of structural and non-structural mitigation in planning for disasters. Part III covers emergency preparedness and response planning, the unmet needs people experience and community service planning; evacuation planning; and increasing community capacity and emergency response in developing countries. Part IV addresses recovery from and adaption to disasters, with topics such as the National Disaster Recovery Framework, long-term housing recovery; population displacement, business recovery; and designs in disasters. Finally, Part V demonstrates how disaster research is interpreted in practice - how to incorporate mitigation into the comprehensive planning process; how states respond to recovery; how cities undertake recovery planning; and how to effectively engage the whole community in disaster planning. The Routledge Handbook of Urban Disaster Resilience offers the most authoritative and comprehensive coverage of cutting edge research at the intersection of urban planning and disasters from a US perspective. This book serves as an invaluable guide for undergraduate and postgraduate students, future professionals, and practitioners interested in urban planning, sustainability, development response planning, emergency planning, recovery planning, hazard mitigation planning, land use planning, housing and community development as well as urban sociology, sociology of the community, public administration, homeland security, climate change, and related fields. Michael K. Lindell is an Emeritus Professor, Texas A&M University, College Station and an Affiliate Professor at the University of Washington, Seattle and also at Boise State University. His research interests include organizational emergency preparedness and response, training/exercises, warning systems, evacuation modeling, household disaster preparedness, risk communication, risk perception, household disaster response, disaster impact models, cognitive processing of visual displays, survey research methods.